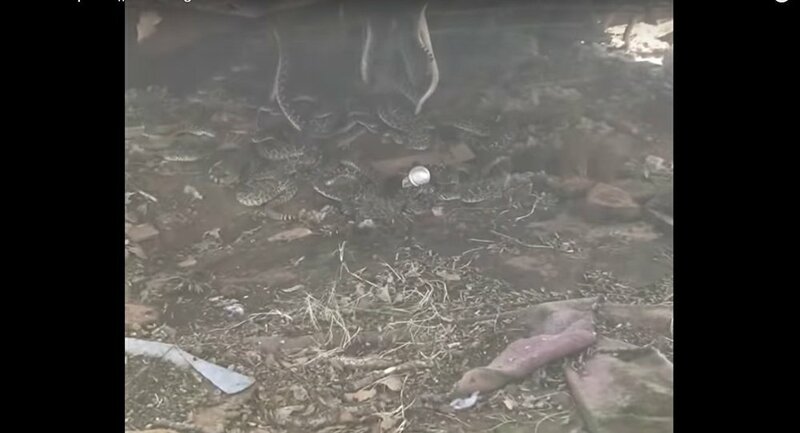 A Texas man, who decided to take down a windmill, noted a snake, coming out from under the building. His suspicions were confirmed when a skid loader lifted the windmill up to reveal a real den with dozens of snakes, slithering back and forth. While some people said it would be better to leave the reptiles alone, many suggested getting rid of them as soon as possible, at any cost. Well, it is difficult to blame them — only those who love snakes could endure looking at this dangerous sight.